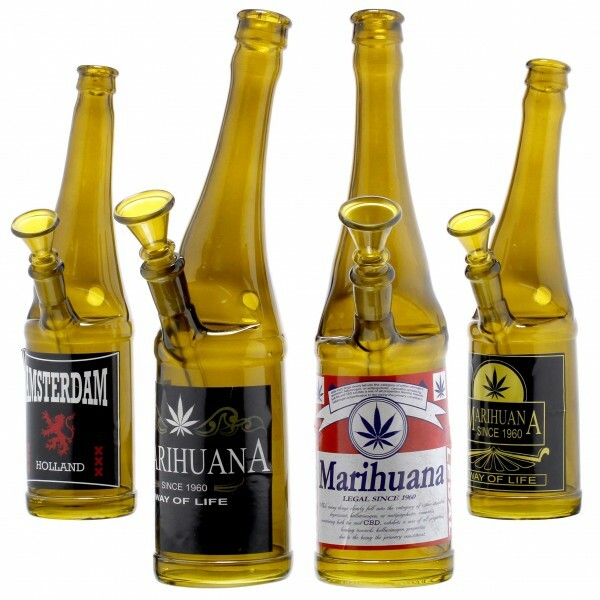 This Beer Bottle Glass Bong of 26cm height is a fascinating piece of glass art that will mix up your senses! You can place your precious herbs or tobacco onto the bowl, which connects to a built-in sure ground. It comes with various marihuana and Amsterdam logos featuring at the front of the bottle, and a bending neck that will supplement your fascinating smoking experience with a comfortable grip.